The celebration of Eid turned into an occasion of grief as gunshots rang in three homes across South Kashmir and three men of the J&K Police were gunned down, on Eid day, by suspected militants. Srinagar: Therethe bullet shattered the stained glass almirah, the only thing visible is a toy pistol. As Inspector Mohammad Ashraf Dar fell to bullets in his own kitchen, blood splattered across his daughter’s clothes and the gunshots stunned his two sons, in the adjoining room. The celebration of Eid turned into an occasion of grief as gunshots rang in three homes across South Kashmir and three men of the J&K Police were gunned down, on Eid day, by suspected militants. At 5:30 pm at Loswani in neighbouring Pulwama, Mohammad Yaqoob Shah walked out of his home carrying his tiffin box for an overnight stay at the District Police Lines. His family narrates that masked men came out of a Maruti car and riddled his body with bullets. “He was third among four brothers and he supported our children,” his brother, Nayeem said. They picked up his body from the road and took him to the nearby hospital where he was declared brought-dead. His mother, Malla Begum, worries for the loan he had to repay. “He supported four families, not one. He was our only hope,” she said. 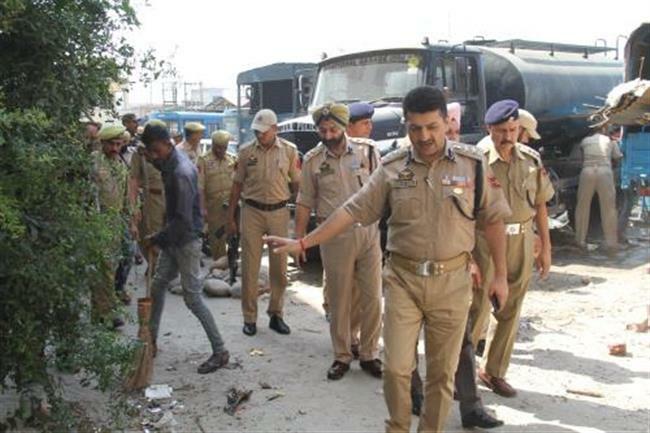 Police have claimed to have established the complicity of militant outfit Hizbul Mujahideen in the incident. As the day gave way to evening, another name was added to the list of funerals South Kashmir witnessed on Wednesday. At 8:30 pm, Shehla Gani stepped out of a room on the ground floor of her house, to find two men in her lobby. One, she said, had a knife to her nine-year-old son’s throat and another was holding her 13-year-old by the arm. Shehla had managed to lock the kids in the other room to run to her husband’s rescue but one of the militants, she said, “snatched my daughter from his arms, before shooting him. Her clothes were covered in blood and she started shrieking”.